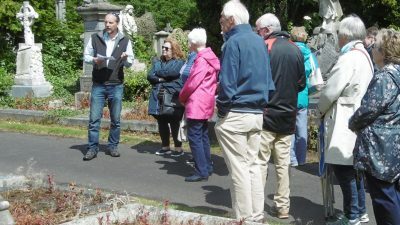 Peter McCabe offers customised tours of Belfast City Cemetery. Explore the graves of sports stars, maritime men and women, and more from across the world. 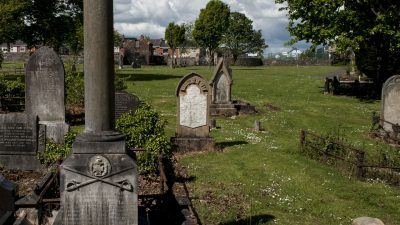 Opened in 1869, Belfast City Cemetery is one of the oldest public burial grounds in the city. One could tell many tales amongst the tombstones. There are stories of celebrated locals, people from across the world and founding fathers of the city. 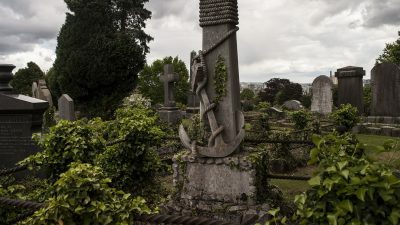 A closer look reveals links to the city’s maritime past and connections to the Titanic. Peter McCabe is the man to tell those tales. A local history enthusiast, he hopes to turn locals and tourists to taphophiles. 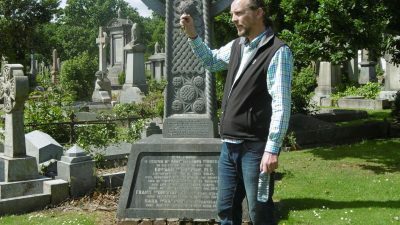 Over the last number of years, Peter has researched several tours throughout the City Cemetery. 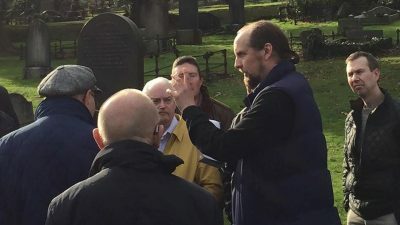 Find out more about Peter McCabe’s Belfast City Cemetery Tours and book a place today. Travel the world without leaving the walls of Belfast City Cemetery. 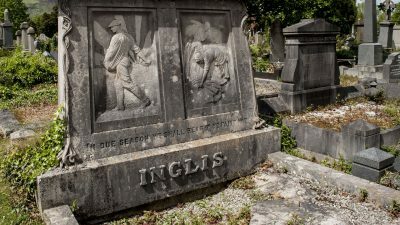 From the USA, Canada, and South America to China, India, Australia, and beyond, the cemetery tells the life and times of many people of the world. 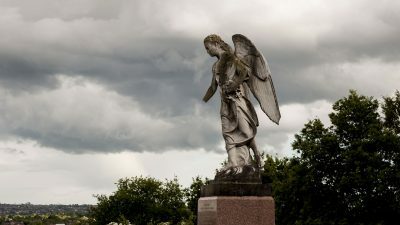 Belfast City Cemetery is well-known for its stone angels. Many of these spectacular statues adorn plinths throughout the graveyard. Most of these stunning pieces commemorate children taken too early. 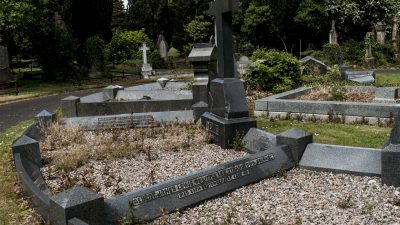 Belfast’s City Cemetery is the resting place of many ministers, particularly from Methodist and Presbyterian backgrounds. There are also graves of missionaries from across the world with fascinating tales. Northern Ireland’s capital city has long been a thriving industrial hub. 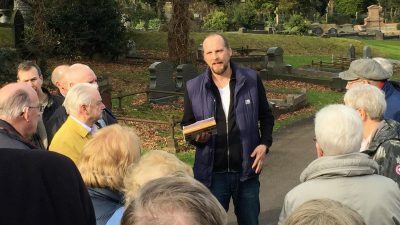 Belfast City Cemetery pays tribute to those who shaped the city from manufacturers and commercial giants to the men of the shipyards. Explore the Belfast or CS Lewis, author of The Chronicles of Narnia. Visit the graves of his parents, grandparents, uncles, friends, and neighbours. Belfast City Cemetery offers views towards the legendary writer’s East Belfast. The connections between Northern Ireland and Scotland are well-documented. 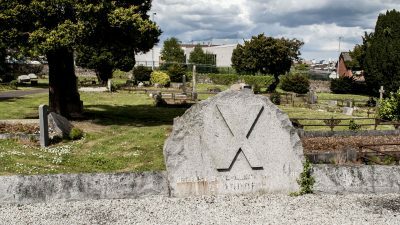 Many of those of Scottish descent who played a part in the foundation of today’s Belfast are buried in the City Cemetery. Explore the thirty-two counties of the Emerald Isle. 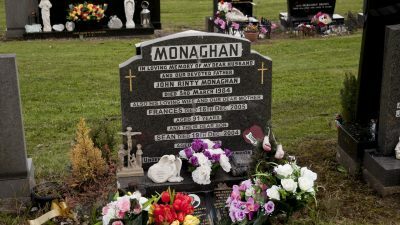 Through Northern Ireland and the Republic of Ireland, from Donegal to Cork, people from every county have made Belfast their final resting place. 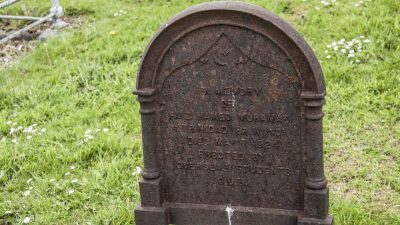 Old and new graves in Belfast City Cemetery have many quirky features and there is a range of weird and wonderful sights. Join Peter on a tour. In most of these cases, it must be seen to be believed.